Swarm Blog: Be A Hero With Victory March! Be A Hero With Victory March! Have you ever secretly wished you were a hero? Do you have dreams of living in the WWII era or simply know you were born in in the wrong decade? Well travel back in time and make all your dreams come true with Victory March and Victory Marche Deluxe. 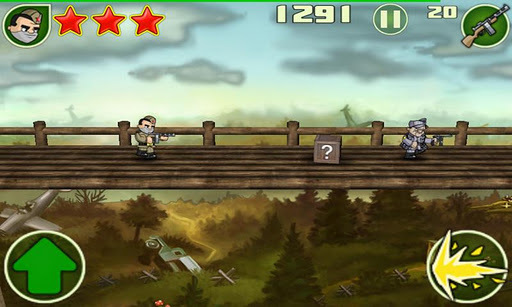 This WWII sideway runner game will put you in the center of the action, and you can even choose which side you are on. Choose from American or Soviet, or switch back and forth to beat the Nazis from all sides. Play is simple yet addictive, with the goal being to run forward and jump from platform to platform. Play your way through 6 levels knocking Nazis out of the way all the while, and the 3D graphics will only add to the reality of the action. 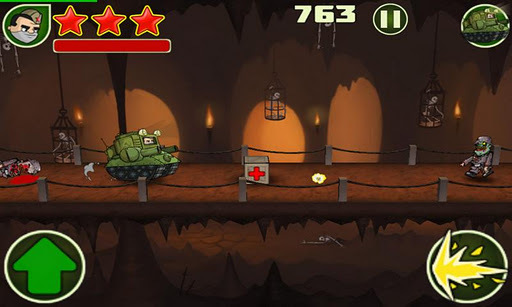 Multiple enemies and a wide array of weapons, rockets, and tanks only add to the challenge and the fun. Compete to beat your personal best score or to beat anyone else or everyone else! With Swarm integration, you can always know where you stand in the ranking worldwide. However you decide to challenge yourself, all of your hero dreams will come true when you login and start blasting Nazis, and boredom, from the face of the earth. This is one of the best games we've seen in a long time. Go to Google Play and download Victory March and Victory March Deluxe! Master Movie Like Reflexes with Tap! Tap Faster! Experiment With Your Feline Side With The CATch! Android Finds Flying Freedom in a Fish Story! Hooked On Words Android Game Addicting! Go Wild With Android Game Crazy Ball!